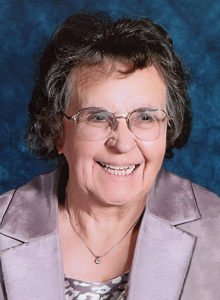 Services are scheduled for 10 a.m. Wednesday, Dec. 9, at West Main Baptist Church for Glenn Etta Cone of Artesia. Cone, 86, passed away Friday, Dec. 4, 2015, at Good Life in Artesia. Belton Mathews will officiate at the services, with interment to follow at Twin Oaks Memorial Park. Pallbearers will be her grandsons and great-grandsons. Honorary pallbearers are the deacons of West Main Baptist Church. Glenn was born Jan. 8, 1929, in Glenrose, Texas, the daughter of William Calvin Davis and Cressie Ellen (Gordon) Davis. On Sept. 26, 1948, she married L.J. Cone in Lubbock, Texas, and the couple came to Artesia in 1976 from Hobbs. She was a cafeteria worker in the Artesia Public Schools and a member of West Main Baptist Church. She also sang in the choir and was a seamstress. Survivors include her husband, L.J. Cone, of Artesia; sons Robert Cone and wife Susie of Loving and Ray Hardy of Lovington; daughters Linda Goble of Alma, Ark., Carol McNally and husband Mike of Ft. Smith, Ark., and Kathy Howard and husband Lee Roy of Artesia; son-in-law Jim Deason of Artesia; sister Ruth Jenkins of Amarillo, Texas; 14 grandchildren; 28 great-grandchildren; and one great-great-grandchild. She was preceded in death by her parents; two brothers; two sisters; a daughter, Janet Deason; one grandchild; and one great-grandchild.